A year ago, Britt Alphson, a feminist and Marymount High School student, created a gender-switching script to help explain sexism to boys. “I thought, ‘Maybe if I put it in their perspective . . . then maybe they’d understand what women go through and why they are feminists,’” Alphson, now 17, said. So she wrote a five-minute screenplay, Sucker-punch Sexism, for her film class focused on a male high school student who struggles to understand why boys are deemed loud or opinionated when they express their opinions, why they get called “sluts” when girls don’t, and why they are mocked as “meninists” for standing up for themselves. Alphson, who is also a soccer coach with her twin sister and fellow creative spirit, Kristiane, liked the result, which she also made into a short movie. She decided to submit the screenplay to a writing contest, the National Scholastic Art and Writing Awards. Regionally, she won a gold key and moved onto the national awards, where she won a silver medal, and also earned inclusion in the book The Best Teen Writing of 2016. 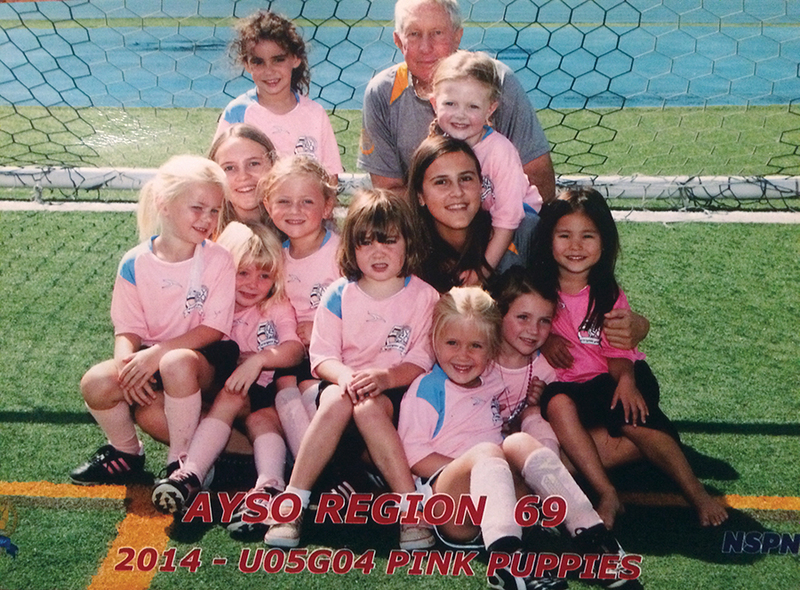 Britt and Kristiane Alphson coached the Pink Puppies soccer team. Alphson and other winners were honored in Washington, D.C., at the opening reception of Art.Write.Now, an event conducted in partnership with the U.S. Department of Education and the President’s Committee on the Arts and the Humanities. For Alphson, who plans to study filmmaking and screenwriting in college, the entire experience with Suckerpunch Sexism has been enriching. She met and befriended other young writers, including one who writes occasionally for the New York Times. She had also never directed something she had written, and she found that she was a stronger, more passionate director when she worked from her own screenplay. In addition, she felt more satisfied writing this piece because it was meaningful to her. Her sister, Kristiane, is also a creative person, who chooses music as her main venue to express herself. She sings and plays both piano and guitar, and she is currently going through the audition process for her college applications while also recording her first EP, which she hopes to finish by February. The two girls lived in Pacific Palisades with their parents, Lisa Up de Graff and John Alphson. 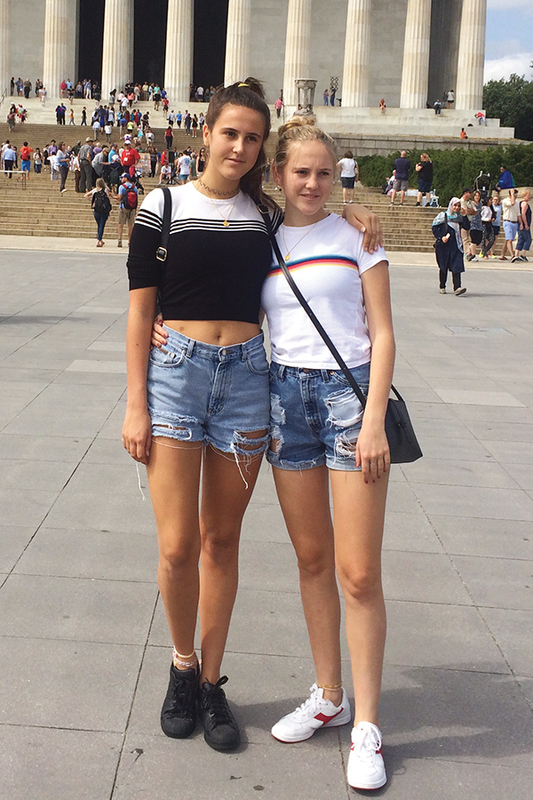 Britt Alphson (left) was honored in Washington, D.C., and was accompanied by her twin, Kristiane. Together the two sisters share a longstanding interest in soccer. Both played for about a decade, including time on both AYSO and highly competitive club teams. After they tired of playing, the two still wanted to stay connected to soccer, so two years ago, when they were 15, they chose to coach their own AYSO team of six-year-old girls. Each year since then, the two have taken the reins of a new team. They’ve learned how to put aside personal differences while coaching, become less shy and figured out how “to act as a coach and not just the helper teenager,” Kristiane said.